Suitable for laying hens and pullets. Layer Pellets are a conveniently pelleted chook food which makes them perfect to use in poultry feed dispensers. 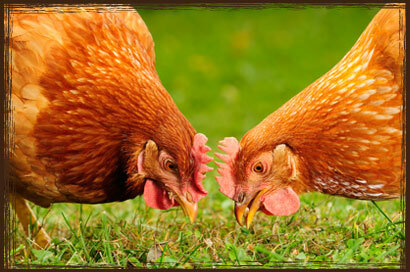 They are easy to feed, and will provide chooks with a nutritionally balanced diet that they’ll enjoy eating. Layer Pellets are made from a wide selection of grains, meals, fibre, vitamins and minerals to keep your hens healthy and happy. Ingredients are sourced from within New Zealand where possible. Feed approximately 1 handful of Layer Pellets per bird per day, and ensure clean drinking water is always available. To encourage good quality egg shells, oyster shell grit should also be available. Copyright © 2016 Takanini Feeds. All rights reserved.